This type of online business has become very popular these days because it is easier to get in a low-competition market than competing big authorities websites. But many people fail to get any success. I think they follow techniques and strategies that are not working or simply are outdated. 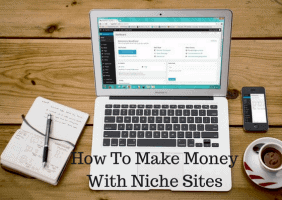 You can learn how to make money with niche websites from scratch. I have seen this way to work for many beginners and intermediate marketers. On this post, I will show you all the right steps that will help you to build a profitable website. A niche market is a group of people or else a market interesting in something common. For example, the weight loss niche is people interested in losing weight. So, the niche sites have information for a specific market or group of people. The opposite are the authority websites that have information on many different topics or niches. I like football, playing guitar and online marketing. These are three simple niches. The best way to find your niche is by writing your interests. Write a list with your hobbies, passions and everything else you like or your are good. For example, if you were speaking to an audience what you would like to say. It could be the music you like to hear or your favorite team. After creating that list compare your interests one by one until to pick up the one that you more like it more. Have you picked up one? If yes, now narrow it down. Your niche is a group of people, in this step we want to find a smaller group of people. Here is an example, I love football but football is too board. I look for a specific market relative to football. It could be your favorite team, coaching, a player etc. If you need help choosing your niche click the link below. You can not start a business without researching the audience, the competition the expenses etc. The same applies for the online businesses. However, the way you make research it differs from a regular offline business. When you start building a niche site your goal is to get visitors from search engines (organic traffic) and social media. Find low competition keywords and write content for them. You will need a keyword research tool like Jaaxy or the free keyword tool of Wealthy Affiliate. You can find instruction on how they work if you click the links on them. When you find a keyword, search it on Google and check the websites on first positions. If they are authority websites for the exact keyword, let it go. If they are niche websites or any type of affiliate websites, save the keyword to use it later. Have you found 10-15 keywords for your niche? If yes, move on. Differently, try to find another niche or sub-niche. A good idea would be to find 3-5 relative sub-niches that could add depth on your website and give you more content ideas. If you decide to target a high competition niche, it is going to be harder to get organic traffic. In a low competition niche, you can expect to get ranked in 3-4 months. In competitive ones 6-12 months or even later. How much time is going to take is not something standard and depends on many different factors. Find a domain that is the same with your main keyword. While I prefer the first option because your goal is to create a new brand name in your niche the second option has one big advantage. It can help you to get ranked higher. However, if your keyword is a big one like “how to lose 20 pounds in a month” then go for a brandable domain name. You want your readers to remember the domain name of your website. Choose one reputable web host. If you do not want to have any future problems with your website avoid all the free options. Find a provider with good support because you need an instant solution to any possible problem, enough space and all the possible features. 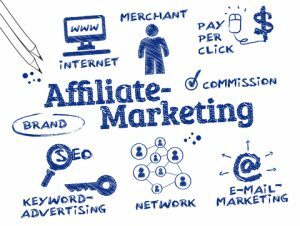 I use the Wealthy Affiliate hosting because it has the best support on the internet. Two times I had problems with one of my websites and solved in five minutes. Another great option also is Bluehost (I have used it in the past too). Here is a post on how to build your own website from scratch in 30 seconds with SiteRubix. In a similar way, you can build a WordPress website on other web hosts. After that, you will set up your website and customize it before creating your first pages. Here is a WA post with a video included. Let’s start with your relative to your niche page. If your niche is “ways to make money online”, what are your visitors expect to see when reading your website? Here is your first page, make your research on every possible source. Similar websites, social media, forums etc. Take your time to gather information because you want your content to be helpful and informative. This means quality content. Your business is to create quality content and help the people in your niche. Next, write the about me page. Nothing fancy, give some information about you, why you have built this website and how can you help your readers. The more content has your article the better but at the beginning create articles at least 300 words. With practice, you will able to write bigger articles later. After doing all the basic steps above, you will start creating more pages or/and posts. You can start with the keywords you have found above on the “keyword research” step. How can you target a keyword? These are the basic rules to follow at the beginning. Remember that you will not get ranked if your content is not helpful, informative and UNIQUE. Do not steal content or use unethical techniques. Find keywords, make research, create quality content and repeat. In most niches, you will not get ranked if you do not have written at least 30 pages/posts. Be patient! Your goal should be to create posts over 1000 words but some topics are smaller and some other bigger. You do not want your articles having the same length because it is not natural and your website will look spammy. Internal and external linking: Link other posts/pages and websites. The informative and interesting posts rank better on search engines. Google focus on user experience the last years. The longer your visitors stay on your website the better your ranking will. Keep your content and website interesting. Engagement is important both for search engines and your readers. It improves the trust between you and your readers and says to search engines that you have interesting and helpful content. With a few words: You need people to comment on your posts and talk about your articles. How can you make this happen? The first thing you can do is to ask your visitors to tell your opinion or ask them questions. The second is to exchange comments. Well, until now you have seen that I mention many times Wealthy Affiliate and I link to relevant posts and videos. Here is another reason why I like this platform so much. You can make and ask comments from other members. Absolutely spam free and quality comments. Another way to understand the search engines if your content is interesting and helpful is with the social media engagement. When people like your content, they will share it and talk about. But this is not the only benefit of sharing your content. You can find new readers, create credibility, communicate with other people in your niche and many more. You can start by creating accounts (business or personal) at least on Facebook, Google Plus, Pinterest and Twitter. Having a facebook page and a youtube account would be a nice idea too. However, one step the at a time. Start building one or two accounts and later you can add more. There is no reason to get rushed. Quality is more important than quantity on social media too. Talk with people in your niche, make questions and post engaging content. Soon you will get likes and followers. Sooner or later you will get traffic if you have followed this process. Now, you can monetize your content. 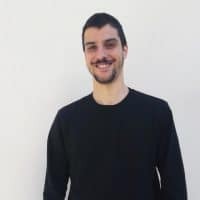 There are many ways to make money with your website but I will talk about Adsense and affiliate marketing because are the most popular ways and my favorites too. Google Adsense are ads that you put on your website and every time someone clicks on them you earn money. How much you earn depends on your niche, it can be from some cents until some dollars per click. Some marketers avoid Adsense but for many other is the main source of income. If they reject you, they will explain the reasons with email but you can improve your website and apply again as many times as you want. After your approval, read the terms and conditions carefully because if you get banned you will not be able to put Google Adsense again. Be careful about what products you recommend on your website. They increase or decrease your credibility and the quality of your site. If you recommend low-quality products many of your readers they will never trust you again. You are not going to make money online if you do not have the right mindset. Treat your website as your business or you will fail. 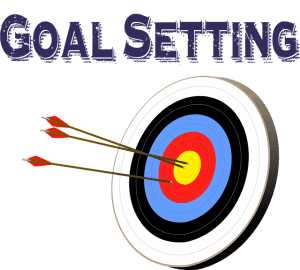 After you have done the basic steps above, start setting goals and plan your work. These are some examples, write down your goal and plan your work based on your goals. For example, if your goal is to post 2 times per week a new article, you need to plan about when you are going to write these articles. When you reach your goals, set some new ones. One of the main advantages to run a profitable online business is that you can work anytime you want and from anywhere you want. If you are not planning what you are going to do next and you do not have clear goals for your business, you will make it harder for yourself. I started getting results when I removed the distractions and start setting goals. I recommend you to do the same. Kyle (owner of Wealthy Affiliate) builds it on the basic training as an example. When he tells you to make a task on your training he is doing the same thing on this website and you can see it on a video. This website was created by another member of Wealthy Affiliate live on a webinar. This webinar is available for premium members only. He followed the steps of the process that I describe in this article. The first time I built a website, I tried to go all the way alone. Many beginners try to do the same and they fail. When you try this process for the first time you will make mistakes and sometimes you will not know how to continue. It is natural to happen. What is the solution for this problem? You need a community where you can get help when you need it. Get the best training in the industry on how to build a niche site here! If you like this article or you have any questions let me know it. Leave your comment below.